As part of the Zachor Coalition Mark represented the two churches who had contributed to the success in filling a bus for the long trip to honour the 6,000,000 murdered by the Nazis. This entry was posted in 1. VoC's MOST IMPORTANT POST, 2. 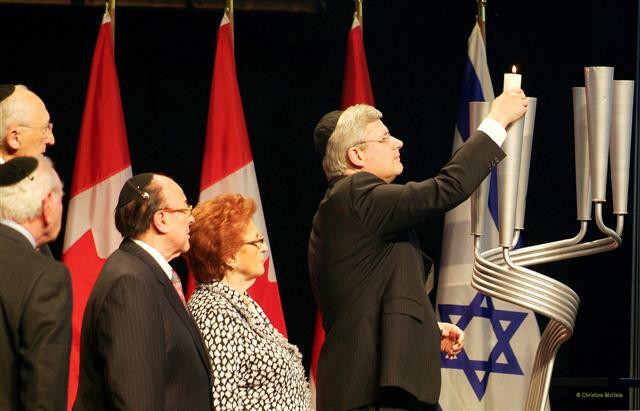 VoC's Favorite Post, Anti-Israel Propaganda, Caledonia Players, Gary McHale, Israel Truth Week, Mark Vandermaas, Merlyn Kinrade, Never Again Group, VoC News and tagged Holocaust remembrance, National Holocaust Remembrance Day ceremony. Bookmark the permalink. Mark, I am very glad you were honoured in Ottawa on April 23. I hope it helped to ease the discomfort of your “outrageous” arrest on April 21 (Jeff Parkinson’s arrest was also outrageous). I am also very glad that both your totally unwarranted arrest and your well-deserved honour were noted by both Moose FM on April 25 and the Sachem on May 1. I hope this publicity will help make more Canadians aware of how completely out of whack the Ontario government and OPP’s handling of the Caledonia crisis really is.